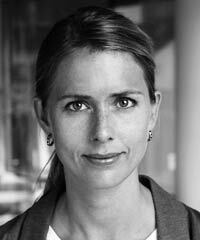 Helena Helmersson has been part of the Group Management Team at Hennes & Mauritz (H & M) since December 2010, when she became Head of Sustainability. She first joined Hennes & Mauritz in 1997 as a Budget Controller in the Buying Office and later became Section Manager. She moved to Bangladesh to work as HR Manager at the Production Office in Dhaka and then Helmersson moved to Hong Kong to join the Production Office as Department Manager for Underwear. After moving back to Stockholm, Sweden, she took on the role of CSR Manager for Social Responsibility and Supply Chain until 2010 when she took on her current role.